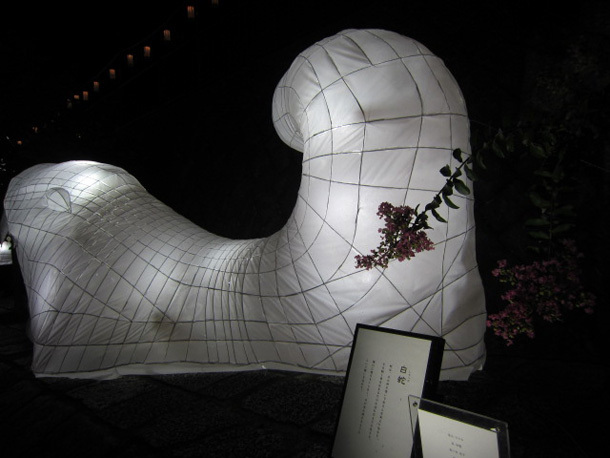 Green tour Kyoto | travel information in JAPAN » Blog Archive » Enjoy Kyo-no-tanabata! Today is 37 degree in Kyoto although it was estimated this summer is not too hot before starting this summer in TV news. I used to live under such a terrible summer heat, but it’s tough actually. I decided to walk along the river to make me cool yesterday, so I started to walk from Nijo Castle, where the annual summer event, Kyo-no-tanabata is being held. 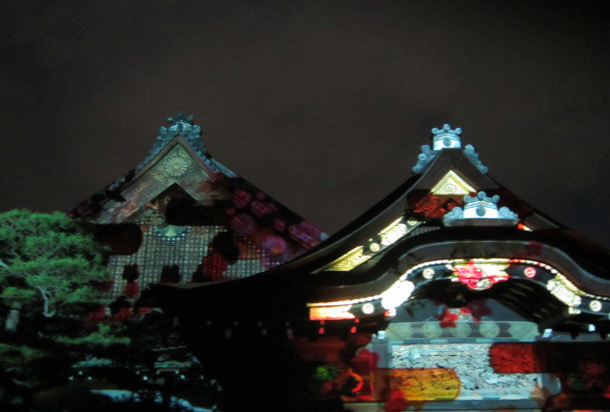 At the castle, I enjoyed watching an interesting image being screened on the castle wall called “projection mapping”. 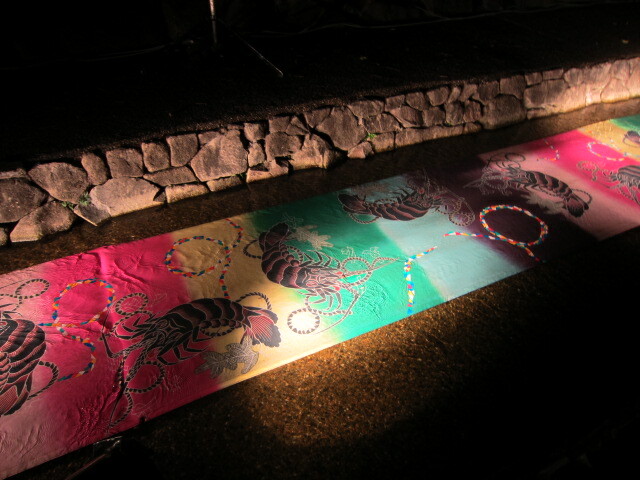 After that, I walked up along the Horikawa stream while I enjoyed several art works. I could feel cooler a bit!! This summer event was started just a few years ago. 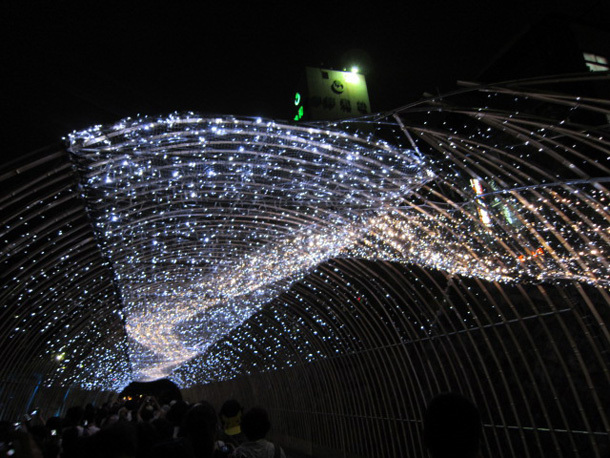 Therefore, we can enjoy two events this month, which are this event and famous ritual, Daimonji-no-okuribi on 16th. Don’t miss it! It’s going to end on 11th of this month.